I painted both of these…probably 20 years apart. One was from a place I had actually visited, and the other from a postcard. Maybe it’s obvious to you. It is to me. I worked hard on both of them. One is a study in nature, the other…a study in nature. If you’ve ever painted, you know that when you are in the middle of a painting, you are in that location. You have to be. Whether it is coming from your imagination, or from a picture, or whether it was your experience in real life, at the moment that you are painting, you are there. 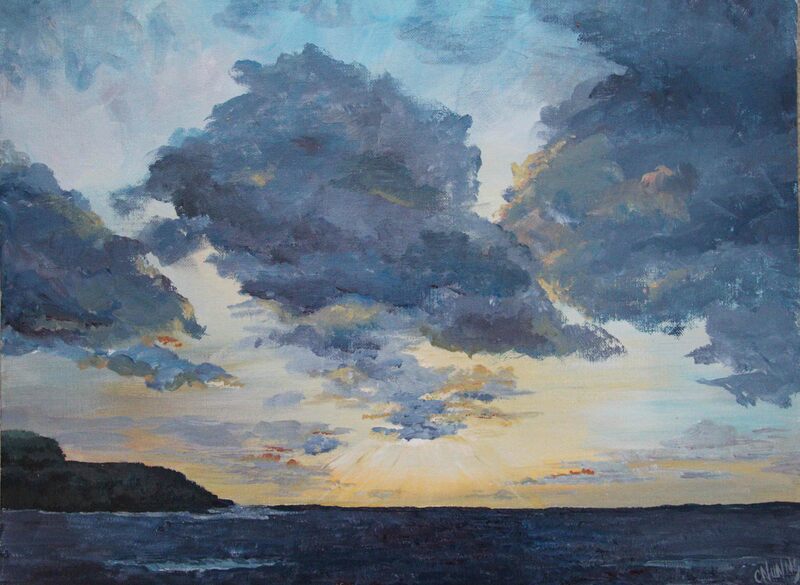 It would explain why I love to paint landscapes, scenes of tranquility or astounding beauty. Whether I am in that location or not, I have most certainly traveled there in my mind. But a painting done from life experience almost always has more courage. It is more expressive, and usually more emotional. It may not be the best at capturing details but it captures a moment. And, on a good day, lets the viewer in on the wonder. Ready for the answer? I gave enough hints. I’m sure you know by now. The top one was from our honeymoon in Hawaii. I dragged my not-a-morning-person newlywed husband out over a bluff along the shore in Kauai. We sat together in the dark, listened to the relentless surge of the ocean and watched the sun come up. It turned out to be a stunning display, becoming more brilliant with every passing moment. The other is a painting I did a few years after high school, from a lovely postcard. I don’t really even know the exact location. Wyoming, maybe? 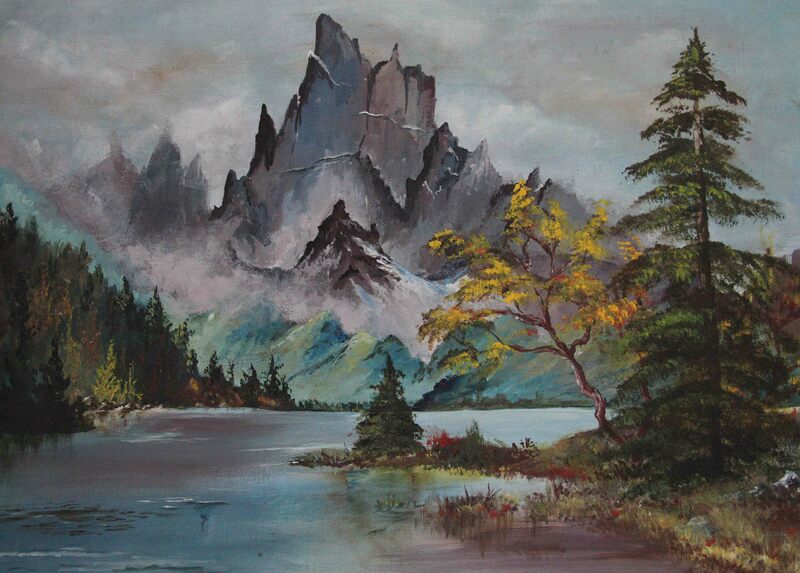 But I do love the mountains and so painting it was joyful. Which is the better painting? Well. I leave that up to you.